Jerry W. Allender is a partner with the law firm of Allender & Allender where he practices in the area of Elder Law. Jerry is committed to providing sound legal advice and counseling in the areas of probate administration, estate planning, real estate transactions, Medicaid planning, nursing home planning and guardianships. Jerry graduated from the University of Evansville (Indiana) with a major in Accounting and received his Juris Doctor from Stetson University College of Law in St. Petersburg, Florida. He has practiced in Brevard County since 1968 and is admitted to the Bar in Florida, Indiana and the United States District Court for the Middle District of Florida. He is a member of the Indiana Bar, the Florida Bar and the Brevard County Bar Association, and a member of the Real Property Probate and Trust Law Section of the Florida and Indiana Bar Associations. Jerry is dedicated to providing his time and wisdom to a wide range of legal and community groups in the Brevard County area. 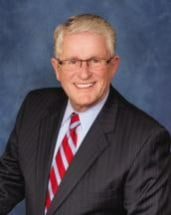 He serves on the Board of Directors of Attorneys' Title Insurance Fund, Inc., a Florida corporation; the National Attorneys' Title Assurance Fund, Inc., an Indiana corporation; Circles of Care, Inc.; Brevard Symphony; Brevard Civilian Military Community Relations Council, Inc.; and Civilian Military Community Foundation, Inc. Jerry is also General Council for the Jess Parrish Medical Foundation, Inc. in Titusville.